It's here! There's nothing like a release day. 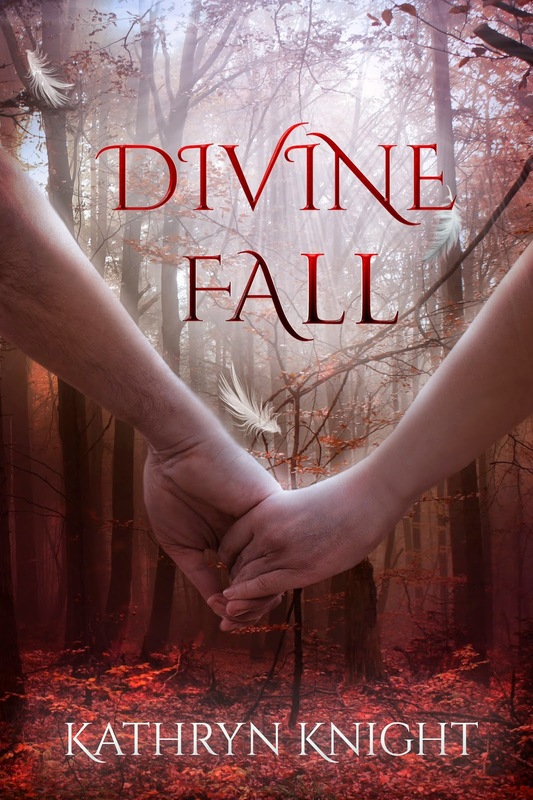 I began DIVINE FALL in February 2013, when I came up with the idea for my first Young Adult book. Writing YA is a very different endeavor, but I love a new challenge, and I'm thrilled with how this book turned out. In particular, the first person POV presents a number of obstacles, which I discuss here. The cover of this book was another new challenge for me, as I was able to take control of the entire process. With a combination of research and luck, however, I found the right people to bring my vision to life with art and font even more beautiful than I imagined. More about designing the gorgeous cover here. 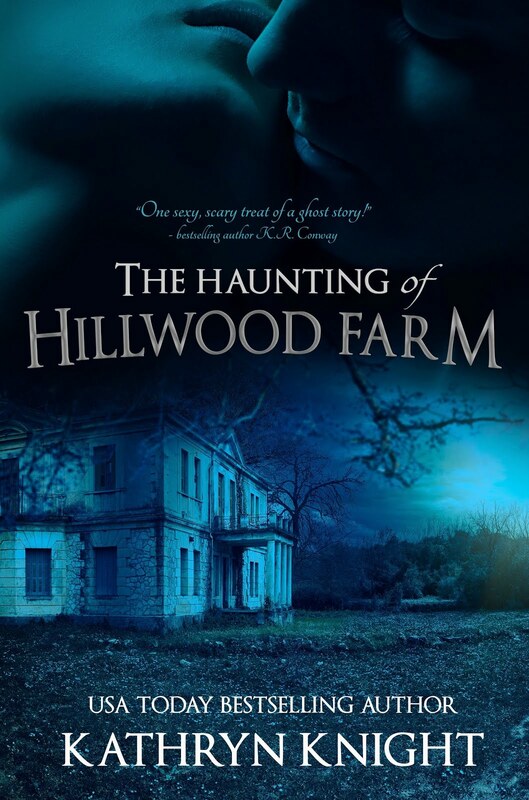 Of course, what's inside needs to be compelling, too--and I'm hoping my readers enjoy this story, which is a bit different than my two previous ghost story/reunion romance novels, SILVER LAKE and GULL HARBOR. But I needed a change, and this story demanded to be told once the initial idea grew in my mind. So, without further ado, please enjoy the blurb and the cover of DIVINE FALL below. 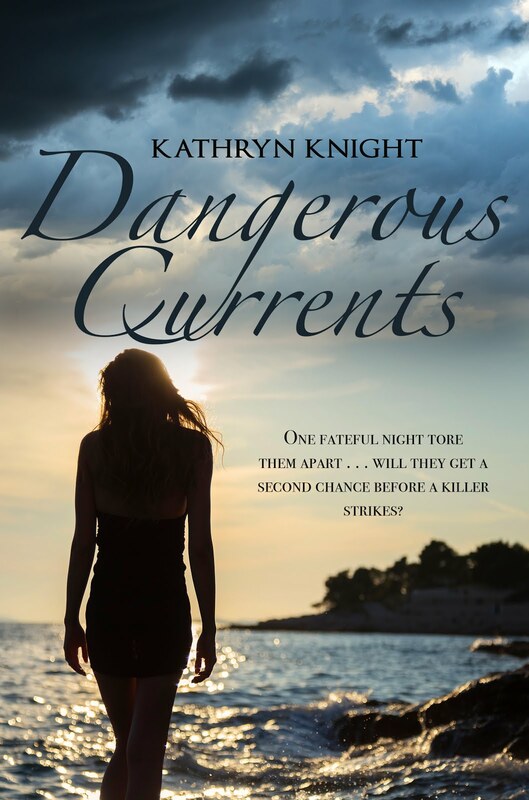 My character and setting inspiration board on Pinterest is linked below as well, along with Buy links for all formats. Thanks for stopping by to celebrate with me! I love the covers of all three of my books. 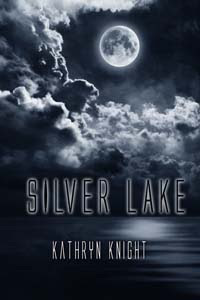 When I received my first contract for SILVER LAKE, I was absolutely overjoyed, and the whole process was brand new to me. My publisher, The Wild Rose Press, actually allows the author quite a bit of input in terms of cover art. A detailed questionnaire was provided, and I filled it out with my ideas and suggestions. We're encouraged to send in pictures or copies of book covers we like as well, and I had a ball searching the Internet for inspiration. 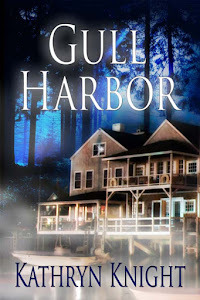 You can find the pictures I sent in on the Pinterest board for SILVER LAKE, and the one for GULL HARBOR. However, the final decision on the cover belongs to the publisher, as they've bought the rights to the book. A cover needs to do a lot of things...in this competitive market, visibility is key, and an eye-catching cover can help with that. I read a lot of YA books, and I think this is especially important within the Young Adult Romance genre. There are so many absolutely breathtaking covers! And yes, I know the old adage about not judging a book by its cover, but gorgeous covers get noticed, and a reader can't consider a book unless they've noticed it among the millions of choices. The cover, or packaging, is one of the 5 "P"s of Marketing. Which leads me back to my original degree--I have an MBA in Marketing. So with my third novel, I decided I'd step up and use it, along with what I've learned about the industry in the past 6 years, and take total control of DIVINE FALL. Yes, that means publishing the title on my own--a scary process. There's so much to consider and more things to learn. But it also meant I could design the cover from start to finish, and while it felt a bit overwhelming at first, I am so, so happy with the results. Where to start? If you google "book cover artists", the results are mindboggling. So I headed back to my favorite place for inspiration, Pinterest. I searched "beautiful book covers" and went from there. And then I found her--the artist I knew I needed to have: here is a board of book covers created by Phatpuppyart. Every single one is stunning, in my opinion. I sent the initial email, and I described what I was envisioning for my new book's cover. Claudia and I decided to work together, and things moved very quickly from there. 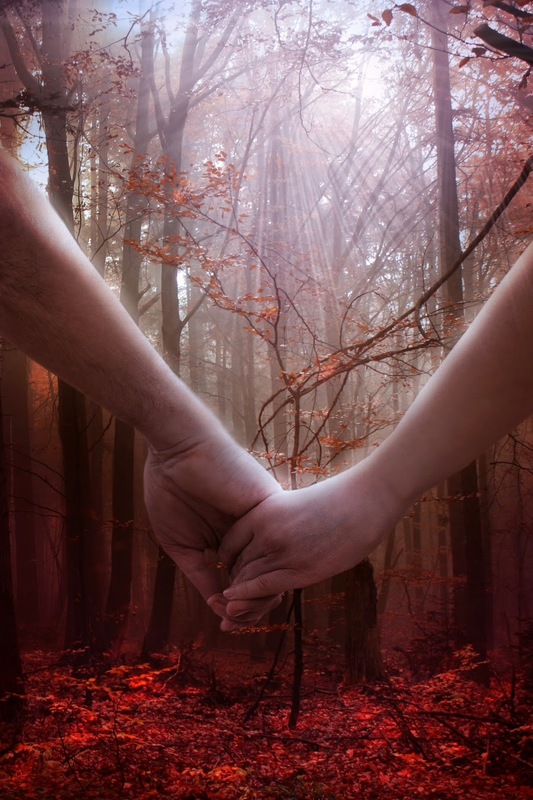 First, I needed to pick out the pair of linked hands from a stock photo site. That was fun (literally) - I think I viewed every single photo of arms on depositphotos.com. I was able to compare them in a "lightbox"; I then picked out my two favorites and sent them to the artist so she could choose the one that would work best. I purchased the rights to use the one Claudia selected. From there, we discussed the background...this book takes place during autumn, and much of the action takes place in the woods. Plus, there is the paranormal element...a fallen angel, or Nephilim, with a host of dangerous secrets. Once I described the setting and mood and sent the blurb, Claudia came up with the gorgeous background in record time. I was absolutely blown away. It's perfect! Then one of Claudia's partners, The Font Diva, took over. Again, I got to look over the portfolio of covers and pick out fonts I liked. Once I sent in my choices, she designed the font for the title, author name, and added the floating feathers to bring in the Nephilim element. Again, I was blown away. So, so beautiful. Now that the formatting is done, she'll be creating the spine and the back cover, complete with more feathers and beautiful lettering. I can't say enough about the level of professionalism and the quality of their work. I'm so happy with the finished product, and I enjoyed the process immensely! DIVINE FALL has its own Pinterest board, of course, which I sent to Claudia when we began. Check out the characters, setting, and cover art inspiration - and click here to add to your Goodreads list! Less than a week until release day--July 25--, and I'll be able to hold the physical book, with the beautiful cover, in my hands! Last year, I filmed my very first television interview--I was invited to discuss SILVER LAKE on Books and the World, a local cable program. The first link takes you to the post with the actual interview, but this one explains how nervous I was! So why, one might ask, did I ask to go through it again? Because I'm passionate about my books, and I constantly push myself beyond my comfort zone in order to connect with readers. As an avid reader myself, I know I'm always looking for recommendations. When I find a book I can't put down, I'm truly transported...it's my absolute favorite form of entertainment. My hope is that my books provide that type of enjoyment for fans of romance, suspense, and the paranormal. So...I finally sent the email to the producers of the show, telling them about my latest release, GULL HARBOR. I was invited to return for another interview, and we filmed on June 13 (Friday the 13th, but that's okay, I'm a big fan of the number 13). This time, I found I was much more relaxed as I waited in the conference room. 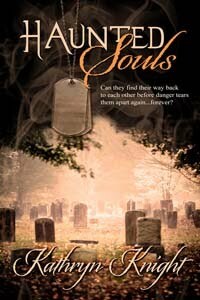 I was introduced to my interviewer, an amazing WWII veteran who said he enjoyed my paranormal romance immensely. That set me at ease, until he further stated that we would not discuss any questions in advance. We'd just have a conversation, in front of the cameras. I'm a plotter. I like to be prepared. My nerves fired back up into overdrive. But it was fine, and I found myself actually forgetting about the camera this time, and just focusing on answering the questions and discussing my passion. The producers informed me that although the show only airs in certain towns, the episode would be available on a statewide access website. Any town could pick it up, if requested to do so. Again, I pushed myself beyond my comfort zone. I emailed the cable stations in both my hometown and my husband's hometown. And guess what happened? One of those stations invited me to come in for THEIR author interview program, which airs in 44 towns with a potential reach of one million viewers! The authors who've appeared on the program include some very big names. Since DIVINE FALL releases this summer, we'll be focusing on my new YA paranormal romance. Of course, I'm over the moon to have this opportunity. Once again, I'll have to push my anxiety aside for the sake of my passion. And while being interviewed in front of a camera is not yet something I feel completely comfortable doing, I've got to admit, each time gets a little easier. Here's hoping I don't make up any words this time! 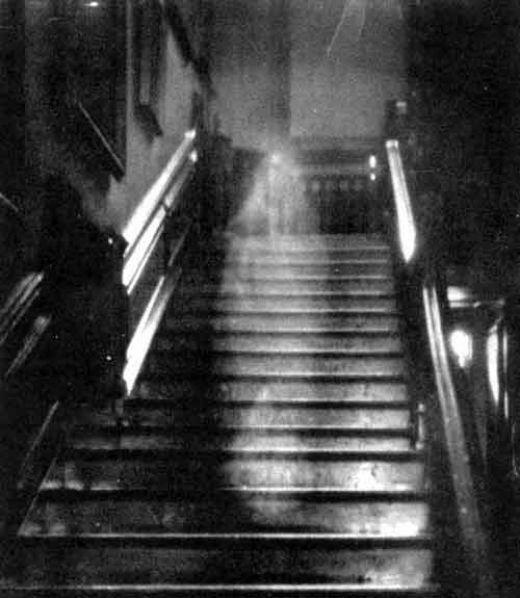 I'm a fan of all things paranormal, but ghosts are my particular obsession. I’ve always wanted to see one. If there’s a Haunted Walking Tour, I’m there. But no luck, so far, seeing one in "person". I love all those paranormal reality shows on TV. I’ve even considered paying to spend the night in a haunted colonial jail a few towns over. Apparently, no one has made it through the night yet! If they had indoor plumbing, I would do it. For now, I'll be using the old jail in my current work-in-progress, HAUNTED SOULS. Although I've never seen anything, I've had other experiences. In addition to that incident, something odd happened the other night. I awoke to a strange noise: I thought I heard someone climbing the stairs over and over, up and down, accompanied by the sound of change jingling from a pocket. Now, my husband runs a few mornings a week, and sometimes he does the stairs a few times to warm up, but I lay there in the dark thinking, why does he have a pocketful of change when he’s going running? Then I rolled over and saw that he was still in bed next to me, and both our sons were at sleepovers. For my third novel, I found inspiration in a new place--the Old Testament of the Bible. I was reviewing the story of Noah and the Ark one night for a Sunday School class I had to teach, and I came upon the Book of Enoch. This text contains the passage about Nephilim, the offspring of male angels and female humans. An idea sparked for my first YA paranormal romance, DIVINE FALL. This book will be releasing at the end of the month, and I'm so excited! If you'd like a peek at the characters and setting, check out my Pinterest board. 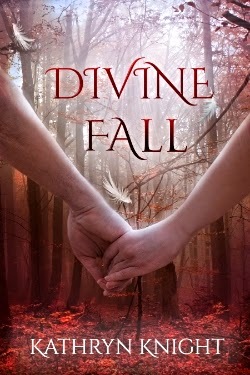 You can also add DIVINE FALL to your Goodreads list here. It was fun researching angels for this project, but the beauty of writing paranormal fiction is the ability to allow your imagination to fill in the details. I'm always careful to try to stay within certain boundaries--I want a story grounded in reality, so that the paranormal elements aren't an enormous leap. All the supernatural occurrences are backed up with explanations, even if those explanations are created in my mind. I constructed quite a story about the Nephilim in my head, despite the fact that there are only a few small paragraphs about them in the Bible: in Genesis (Book of Enoch) and Numbers 13:33. If you enjoy YA paranormal romance filled with dark suspense and forbidden love, I hope you'll give it a try!